Organizers of the European Economic Congress (EEC), the largest economic event in Central Europe, released date of the 11th edition of the event. 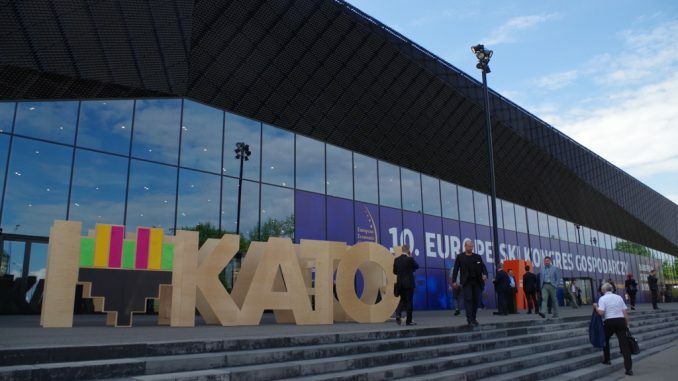 The 11th EEC will be held between 13th and 15th of May 2019 at the International Convention Center and the Spodek Arena in Katowice. The PTWP Group seated in Katowice is the organizer. Now work is underway on the topics and agenda for the event. PTWP intends to combine new issues with problems that remain current, as well as aspects discussed in previous debates at the congress. The company invites all parties to make suggestions on topics for the next year’s congress. Among the events accompanying the 11th edition of EEC will be the fourth edition of the European Start-up Days and the fifth edition of the EEC Project – Leaders of Tomorrow. The previous, 10th jubilee edition of the European Economic Congress attracted a record number of over 11,5 thousand participants. The European Start-up Days, held in the neighbouring Spodek Arena, were attended by over 2,5 thousand people while the EEC Project – Leaders of Tomorrow was visited by 2 thousand students.